It’s been quite awhile since we got a proper Suda 51 game. Grasshopper Manufacture has seen its star rise over the past five years, working with more and more well-funded publishers. The scrappy studio that had to scrape together games like Michigan: Report from Hell ten years ago, now gets its backing from the likes of Warner Bros. Entertainment for games like the James Gunn-penned Lollipop Chainsaw. As its profile has inflated, though, its signature creator has stepped back from actually directing games. This week Goichi Suda offered up the very first details of Killer is Dead, an Xbox 360 and PlayStation 3 game that brings the game maker back to the games that garnered him critical recognition a decade ago. 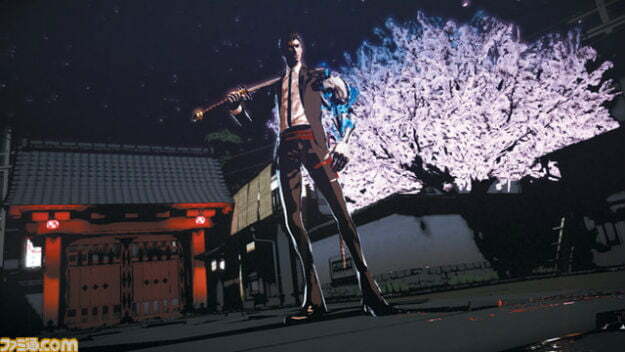 Speaking with Famitsu Magazine (as translated by Polygon), Suda said that Killer is Dead is an entry in his Assassin series that began with the Capcom-published Killer 7 back in 2005, and continued in No More Heroes on Wii. It’s encouraging to hear that Suda 51 is returning to the style of his most inspired work. The Massimo Guarini-directed Shadows of the Damned, Tomo Ikeda-directed Lollipop Chainsaw, and Tohsihiro Fujikawa-directed No More Heroes 2 all bore Suda’s characteristic surreality, but they all lacked the creative spark and confrontational difficulty of Killer 7 and No More Heroes. Killer is Dead will be out in Japan this summer.